Settlement gifts for the property industry. Vendor gifts, customer experience. 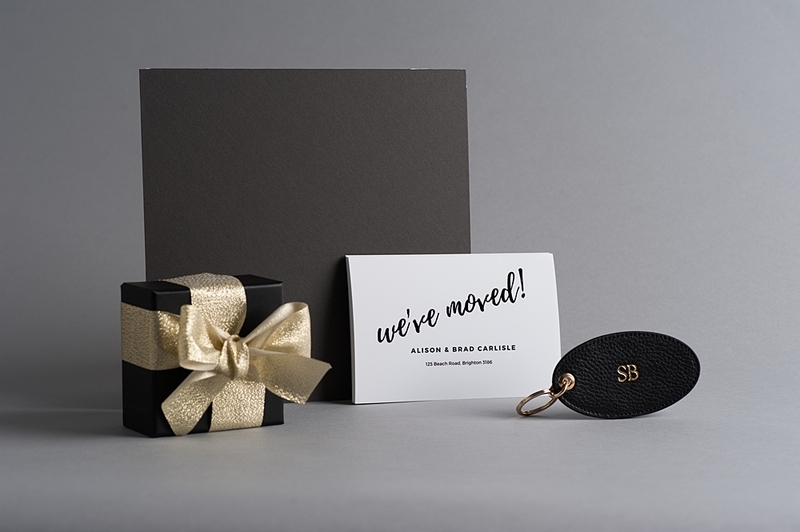 Real estate gifts for clients in Melbourne, Sydney and Australia. We help Property businesses exceed their customer's expectations and ultimately increase positive sentiment and referral of their brand. We make thoughtful and stylish gift giving simple. Our gifts are curated from a wide range of hand-picked, boutique Australian homeware designers and producers. Every bundle is curated to impress, and to last, and to provide an enduring experience for your brand. Our team aims to be an extension of yours - understanding your business and objectives and helping to deliver an outstanding experience for your customer. And we don't just focus on what's inside the gift box. We work with your business to create a holistic gifting strategy that delivers results across the entire customer journey. Every gift we send is tailored to be an expression of your brand, not ours - your logo, your colours. Plus our innovative personalisation options allow every individual bundle to be customised to the recipient. And we make it simple for you. We take care of the logistics and warehousing and only send what you need, when you need it. You save on storage, staff resources and access volume discounts and payment terms that suit your business. We're proud to be in partnership with The Big Issue and their Workforce for Good. Its not all about the bottom line - we're living out our values of authenticity, spreading gratitude and supporting women to further themselves and their opportunities through business. "As a brand WHITEFOX is bold, matter of fact and polished. In order for us to uphold this as a true statement our brand had to be consistent on all fronts - including our hand over and customer execution experience. The quality of product and engagement of all senses are nailed and well thought out with Style Bundle. Our brief was to ensure from a visual, scent and touch element the client was engaged and felt the experience was “on brand”. That’s the Style Bundle team's expertise. Simply executed to perfection."